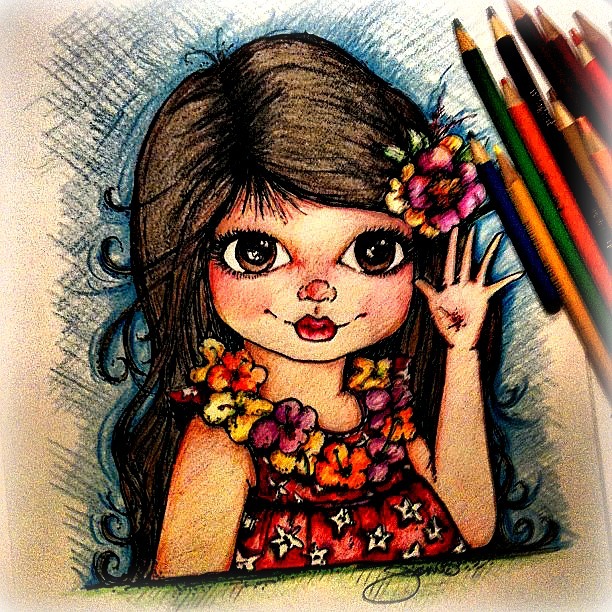 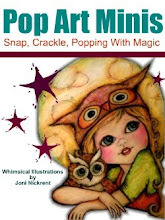 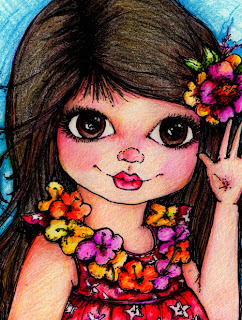 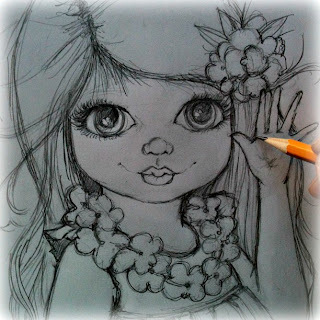 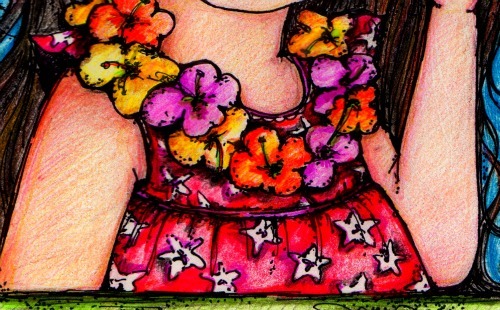 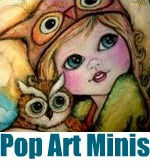 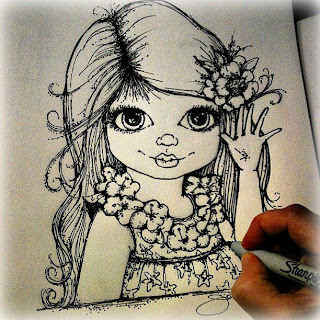 Pop Art Minis: Flowers and Fun-shine Smiles...Aloha Friends! 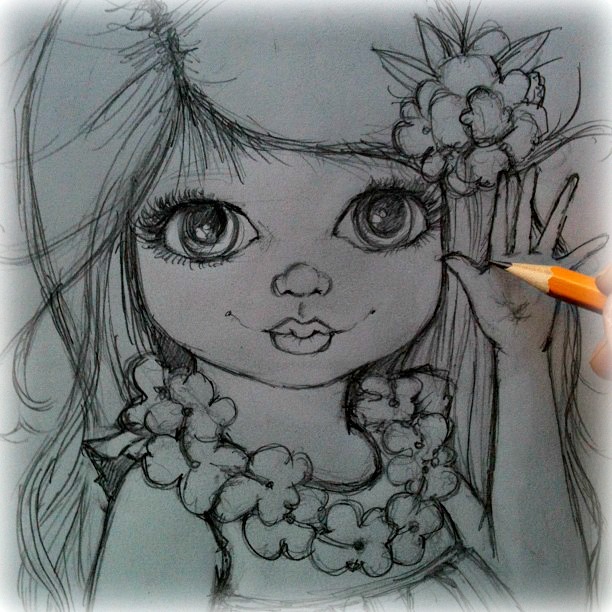 Flowers and Fun-shine Smiles...Aloha Friends! 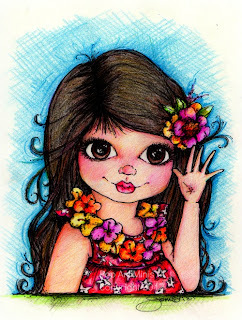 Thanks to another awesome suggestion from a Pop Art Minis Facebook friend my latest mini is a Hawaiian inspired greeting from a big eyed girl in a fun-shine print dress and flower lei! 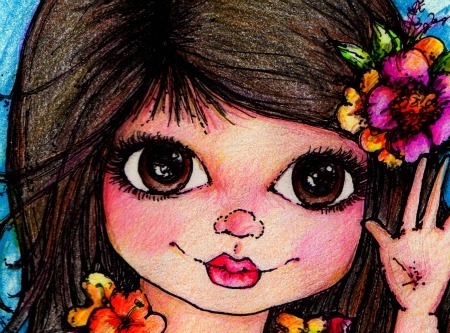 The pencil sketch, Sharpie ink and the pops of color!